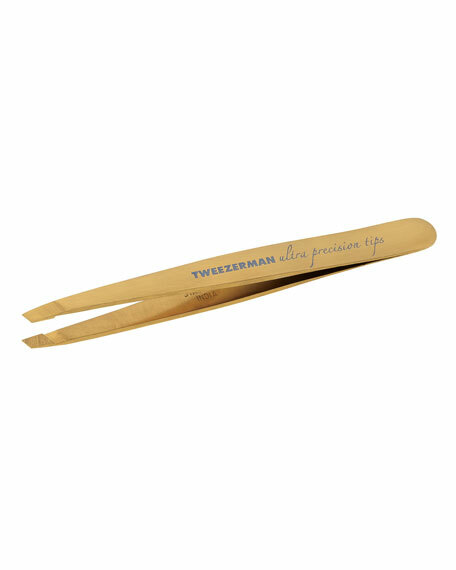 Introducing Tweezerman's Ultra Precision Series. Both strong and beautiful, the gold colored coating is an incredible breakthrough technology to improve surface properties and corrosion resistance. 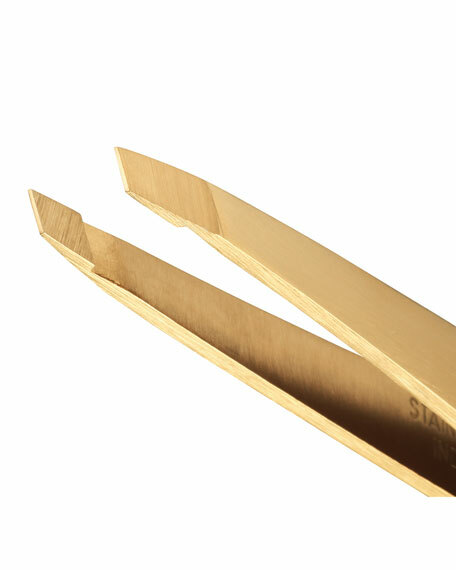 A 'Best of Beauty' favorite chosen by Allure Editors, the award-winning Slant Tweezer features perfectly aligned, hand-filed precision tips to grab every hair, every time. With the Ultra Precision Series the tips are fine filed ultra thin and hard coated in PVD Titanium Nitrate (TiN or TNT GOLD) for the ultimate in durability and accuracy. The protective layer is incredibly corrosion resistant, reduces friction to increase the useable life of the tool, and makes gliding ergonomics even easier, for smooth, super-precise performance. Expertly crafted in genuine German-made ceramic, the Tweezerman callus stone combines a coarse side for reducing stubborn calluses and a fine side for smoothing away rough skin. The sleek handle is super-comfortable and provides maximum control? ?durable, lasting design holds up to frequent use for year-round soft, beautiful feet.